Please note.. as I am in the kitchen baking and also out delivering, I cannot always answer my phone or return emails especially on our busy Thursdays, Fridays & Saturdays. I put aside Monday & Tuesday evenings to answer emails etc so please understand if I don't come back to you straight away. Without blowing my own trumpet!! My cakes/cupcakes are in very high demand and one of the reasons is because of the high quality and amount of detail for a such a great price!! 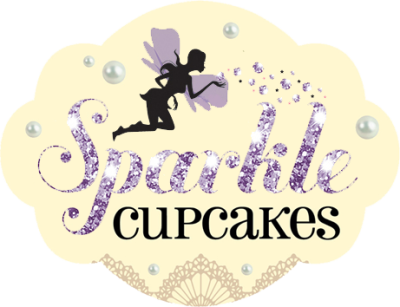 Every cake and cupcake you see on my website has been made from scratch, hand delivered and setup by myself. I prefer to offer a personal service this way you can be assured that the same quality and standard of decoration will always be received. If you call, please leave a message giving as much information as possible and I will come back to you. ​Please Note, there is a 2 week notice for orders and I definitely can't take on orders for the same day or next day. It is very rare I have availability within 2 weeks however by all means please use the contact us form and ask. I do sometimes have a date change etc so last minute slots can become available however if you do not hear from me within 24 hours then no last minute slots are available. The latest I can take a last minute booking is the Monday evening for the following Friday/Saturday/Sunday. I am currently receiving around 20 enquiries a day, 25% of these being for the same weekend ahead. Can I please re-iterate that I cannot guarantee a response as if you contact me on a Wednesday/Thursday for the same weekend I may not even see your email/VM etc until the week after. I am also in the kitchen baking and decorating, out delivering etc so I am not ignoring you, just working on my current customers orders which are always my priority. At certain points in the year especially wedding Season, I can be booked up at least 3 months in advance so please, please book ahead to avoid disappointment. If you would like to include any pictures to use as inspiration please email these to [email protected] along with your enquiry and details as above. Please note, I will not copy an exact design, I can use sample images to use as colour and design inspiration however it is an unspoken rule and cake etiquette not to copy another cake makers design exactly. We arrange collections from this convenient location allowing more flexible collection dates and times . Collections are between 11.30am and 3pm Thurs, Fri and Sat. Gifts worth giving! When it comes to personalised gifts, here at Making It Personal we’ve got you covered. For all your Chocolate, Confectionery & Gift Requirements including Balloons & Party Accessories. You can personalise nearly all of our products with your own Name or photos. Delivery available around the Leeds area or Postage available on selected products.